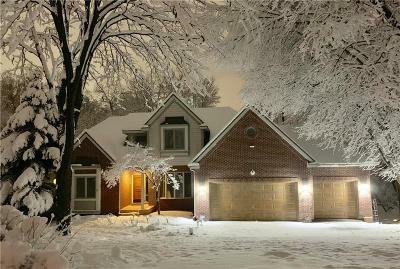 1486 Hemlock Court, Liberty, MO.| MLS# 2107489 | Mary Giangalanti & Associates Kansas City Homes for Sale, Property Search in Kansas City & Surrounding Areas. Beautiful estate home in Liberty's only gated community! Stunning landscaping w/ a setting you'll fall for. The large two-tiered deck spans the back of the home and will be your favorite spot to relax and entertain. Main level master w/ a unique master bath built for two! Upgraded tall ceilings in the walk-out basement w/ a huge rec room including pool table, wet bar, theater area. New paint and carpet in most of the home plus newer roof and heating/cooling. Custom workshop/hobby space. Liberty North High School. Directions: Gated community that requires code for access. 291 Hwy and N Forest Ave: north onto N Forest Ave, Right onto Spruce Dr, going around the bend and toward the neighborhood entrance gate where the home is the first on the left.